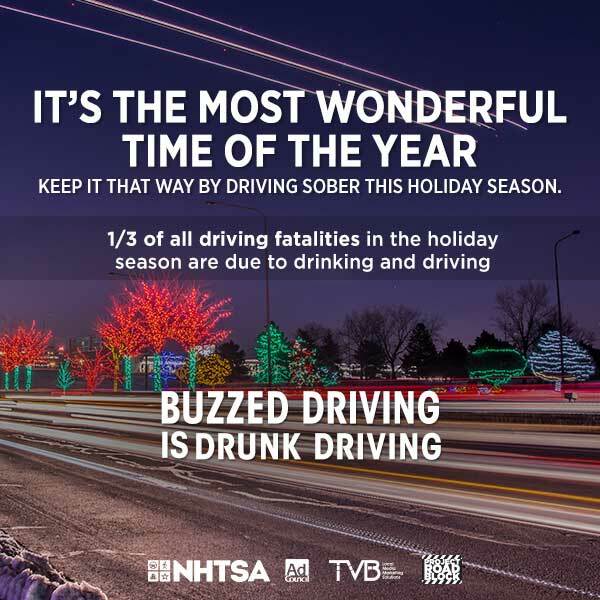 Last December, nearly one-third of all car crash fatalities involved a drunk driver, according to the U.S. Department of Transportation’s National Highway Traffic Safety Administration (NHTSA). 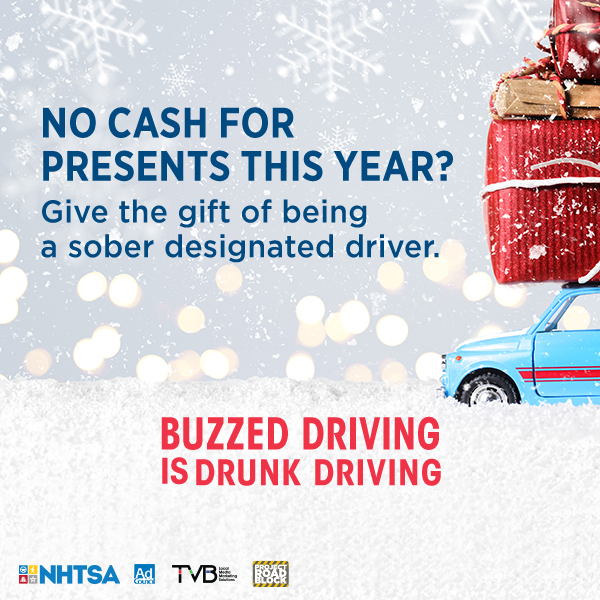 Today, to help make our roads safer during the holiday season, the Television Bureau of Advertising (TVB) launched the 13th annual “Project Roadblock” initiative, in which local broadcast TV stations donate airtime to support NHTSA and the Ad Council’s “Buzzed Driving is Drunk Driving” PSA (public service advertising) campaign. 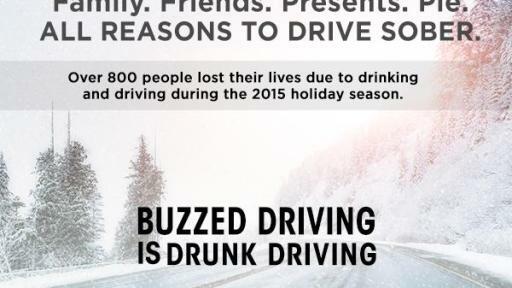 To help the campaign’s message reach those who could benefit most, the Ad Council is conducting a special push to TV stations in the 10 states that accounted for 53% of all alcohol-impaired driving fatalities in 2015: Texas, California, Florida, North Carolina, Georgia, Pennsylvania, Ohio, New York, Illinois, and South Carolina. 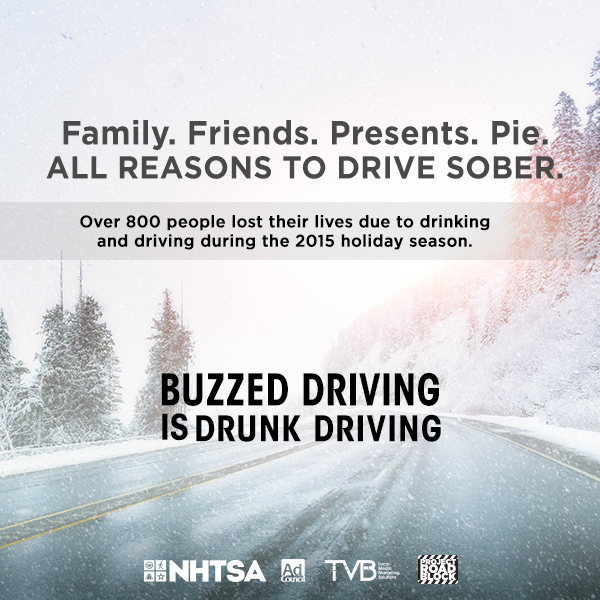 For the past twelve years, local broadcast TV stations have participated in Project Roadblock by airing Buzzed Driving Prevention PSAs during the concentrated six-day period between December 26 and 31, with a special push at 10 p.m. local time on New Year’s Eve. 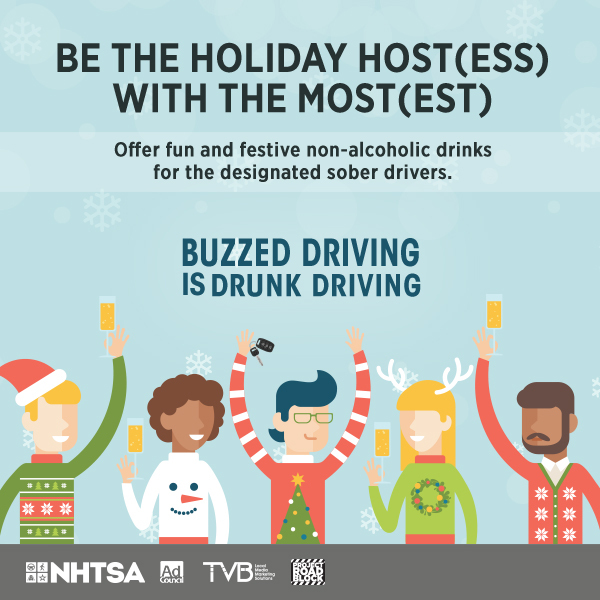 Additionally, supporting TV stations will help reach a wide audience by sharing the campaign’s message on social media, using new graphics featuring informative statistics and holiday safe driving tips. For Project Roadblock 2016, local television stations will have exclusive access to a new PSA titled “Back Roads,” created pro bono by Cog NYC. 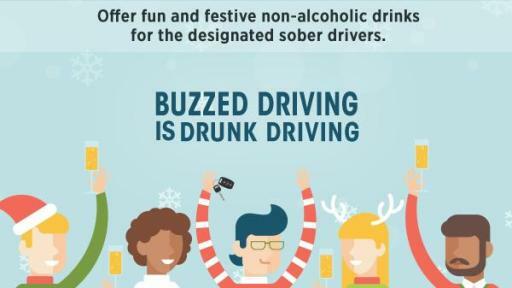 The new spot is designed to help individuals recognize the “warning signs” that they may have had too much to drink before driving, such as rolling down the windows for fresh air, or planning to take the back roads home. 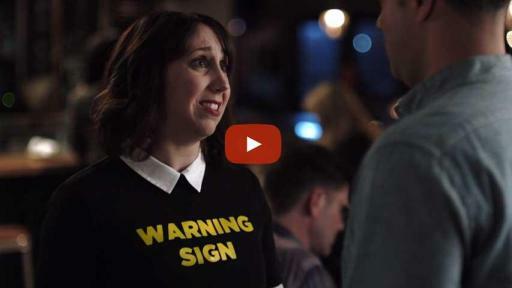 The spot ends with the tagline “Probably Okay isn’t Okay,” reminding drivers to find a safe way to get home instead of getting behind the wheel. 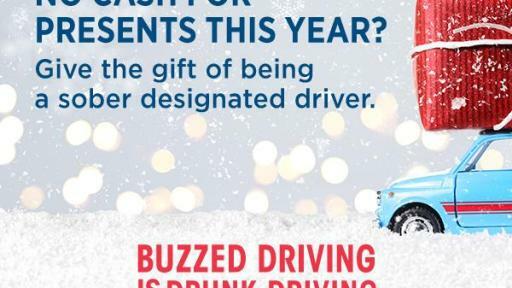 The local stations will also have access to existing English- and Spanish-language PSAs, which illustrate that getting pulled over for buzzed driving can cost around $10,000 in fines, legal fees and increased insurance rates. In many markets, these PSAs are also sponsored by local businesses, who underwrite the message to show their support for this important issue. The sponsorable PSAs include “Life’s Doors,” and “Viral Consequences,” created pro bono by the Brigham Young University Adlab and Laycock Center for Creativity & Collaboration, and “Neon Signs,” created pro bono by the New York-based advertising agency Merkley+Partners. 2015 was the most successful year to date for Project Roadblock, with a record $8.1 million in donated media, and support from over 1,000 local broadcast TV stations representing 207 of 210 designated market areas (DMAs). Since Project Roadblock kicked off in 2004, broadcast TV stations across the nation have donated nearly $50 million in media to support this effort. For more information about Project Roadblock 2016, visit tvb.org/projectroadblock, and follow the campaign online with hashtag #ProjectRoadblock on Facebook and Twitter. For more than four decades, the National Highway Traffic Safety Administration (NHTSA) has served as the key federal agency charged with improving safety on our nation’s roadways. As part of the U.S. Department of Transportation, NHTSA is working to reduce traffic-related deaths and injuries by promoting the use of safety belts and child safety seats; helping states and local communities address the threat of drunk drivers; regulating safety standards and investigating safety defects in motor vehicles; establishing and enforcing fuel economy standards; conducting research on driver behavior and traffic safety; and providing consumer information on issues ranging from child passenger safety to impaired driving. 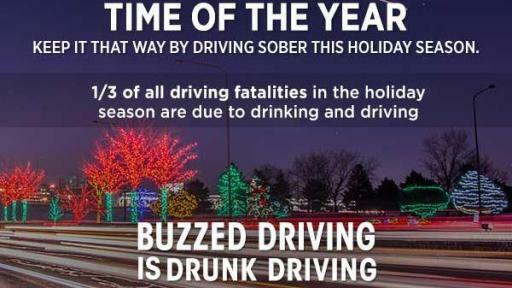 For more information, visit http://www.nhtsa.gov. The Ad Council is a private, non-profit organization with a rich history of marshaling volunteer talent from the advertising and media industries to deliver critical messages to the American public. Having produced literally thousands of PSA campaigns addressing the most pressing social issues of the day, the Ad Council has affected, and continues to affect, tremendous positive change by raising awareness, inspiring action and saving lives. To learn more about the Ad Council and its campaigns, visit www.adcouncil.org, like us on Facebook, follow us on Twitter or view our PSAs on YouTube. TVB is the not-for-profit trade association of America’s local broadcast television industry. Its members include television broadcast groups, advertising sales reps, syndicators, international broadcasters, associate members and over 800 individual television stations. TVB actively promotes local media marketing solutions to the advertising community, and in so doing works to develop advertising dollars for the medium’s multiple platforms, including on-air, online and mobile. TVB provides a diverse variety of tools and resources, including http://www.tvb.org, to support its members and to help advertisers make the best use of local ad dollars.